The presentation will look at an approach for implementing rapid cloud architecture. 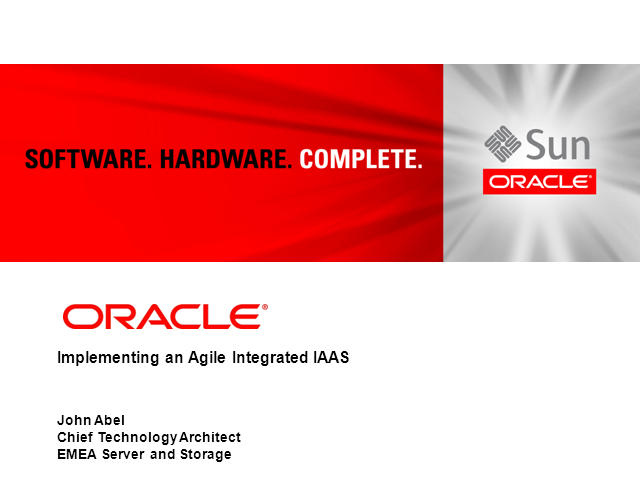 Oracle’s Chief Technology Architect, John Abel, will show how the value of cloud is enabling agile, rapid SaaS components and how the PaaS / IaaS need to support this for better efficiency and speed. John will discuss how to develop a cloud maturity process to enable customers to understand the target areas for cloud delivery; showing a journey from non-cloud services to cloud computing from an integrated IaaS.